Ankara (AFP) - Qatar on Wednesday promised to make a $15 billion direct investment in Turkey, badly hit by a currency crisis amid a widening diplomatic standoff with the United States, officials said. "Qatar has pledged $15 billion of direct investments in Turkey," presidential spokesman Ibrahim Kalin wrote on Twitter. 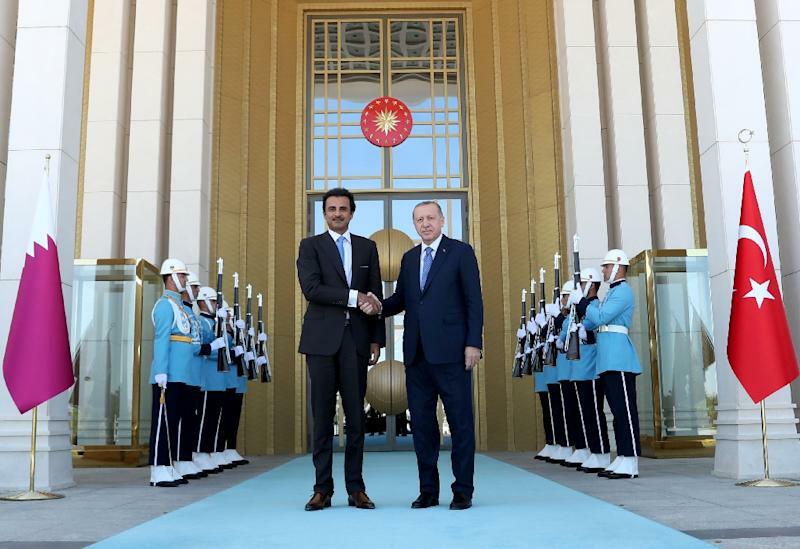 Erdogan thanked the emir and the people of Qatar for "standing by Turkey," the official Anadolu news agency reported. He said relations with Qatar, which he described as a "friendly and brotherly country," would be boosted in many areas. Turkey and Qatar -- which is also a very close US ally -- have become close economic and political partners in recent times. Ankara has been conspicuous in its support of Doha as Qatar battles with continued Saudi-led isolation from Arab neighbours.